Sunny Scottsdale, Arizona is blessed with an average of 86% sunshine filled days. 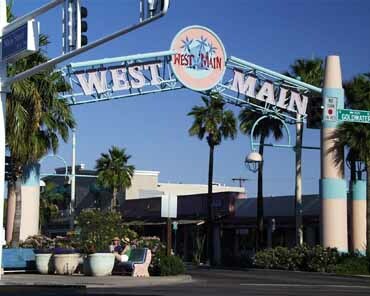 Aside from it's beautiful weather, Scottsdale is also recognized as "The West's Most Western Town". The history of Scottsdale is preserved and revered, as it is a community founded in 1888 and has been recognized for various achievements over the years. 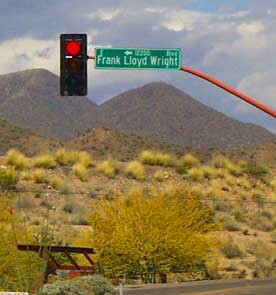 In 1937, the famous architect Frank Lloyd Wright set up his winter retreat at the foot of the Mc Dowell Mountains, creating what is known as Taliesin West. 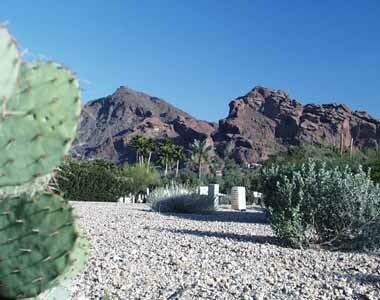 In 1993 Scottsdale was given "The Most Livable City" award. The city of Scottsdale is also known for its abundance of outdoor activities, culture, entertainment, spas, and natural beauty. 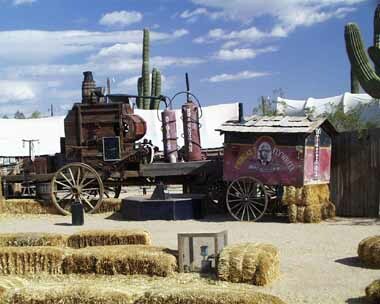 Rawhide, a Wild West town, is the ideal Scottsdale experience that provides family style entertainment. There are gunfights, stuntmen, Main Street, theatrical performances, stagecoach rides, a petting zoo, bull riding, horseback riding, gold panning, games, rides, dining and shopping. The adults love it as much as the kids do, it is an activity and fun filled day that lets you feel that you are part of the Old West in 1880. Another great place for family amusement is the Out of Africa Wild Life Park. This is a unique garden like setting that allows visitors to see the animals at their most primal. There are no tricks or rehearsed shows, tigers chase the staff in to a giant pool as they would in a hunt. It is an exciting show that provides an encounter, like no other, with the wild kingdom. If you would rather interact with animals instead of just watching, try West World of Scottsdale. There the whole family can ride user-friendly horses through the nature trails found on the 360 acres of West World. Their vast property also holds a golf course, polo fields, a barn, arenas, and a restaurant and bar. There is something for everyone on West World's expansive land. For a truly diversified nature experience visit one of the many outdoor recreational areas in the Mc Dowell Mountains. There are public nature trails, parks, and preserves. It is very important that all areas are treated respectfully because of their historical and environmental value, and you will see signs emphasizing this. You can have a great time and see a variety of plant and animal life, just follow the rules and you will observe a multitude of birds and snakes, desert tortoise, coyotes, antelopes, deer, squirrels, lizards, and Gila Monsters! Oh my! For a more subdued nature experience, find your inner peace at one of the many spas and resorts in Scottsdale. Pamper yourself at the Willow Tree Spa at the Fairmont Scottsdale Princess. Or have an outdoor massage and a facial at the Hyatt Regency, Scottsdale-Sonwai Spa. Within the area there are lush golf courses and hot air balloon rides that allow for a more relaxing way to enjoy the scenery. If you care to return from nature for a while, there is plenty of culture and stimulating activities in the city of Scottsdale. The arts are as important as the environment in Scottsdale and this is a wonderful balance that provides visitors with a plentitude of museums, theaters, and a Center for the Arts. The Fleischer Museum focuses on Russian and American Impressionist art and near by there is the Museum of Modern Art. The Hall of Flame Firefighter Museum pays tribute to our national and local firefighting heroes. The Arizona Military Museum is another location of great interest and appreciation. The Scottsdale Symphony is known for "Bringing down the house" and will provide an elegant and enjoyable evening. There is plenty of nightlife happening in Scottsdale with casinos, movie theaters, nightclubs, and quality restaurants and bars. Scottsdale is versatile vacation location that stands out among the rest. It's abundance of things to do, see and experience makes Scottsdale perfect for an action packed family excursion, a quiet romantic getaway, a solo self spoiling spa week or a camping and hiking nature adventure. Whichever type of experience appeals to your senses, you'll find it in Scottsdale, Arizona, and you might not want to go home.